IEEE COMSOC Lahore Chapter in collaboration with Al-Khawarizmi Institute of Computer Science UET Lahore, IEEE UET student branch and IEEE Young Professional Lahore section, organized the Brainiac student competition on 20-21 December 2018 at UET Lahore. BRAINIAC is a national technology competition which provides opportunities for students and fresh engineering graduates to enhance and showcase their technical skills through a country-wide competition and win attractive cash prizes. This year the cash prize was Rupees 100,000/-PKR. 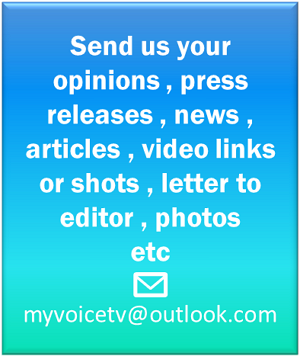 BRAINIAC includes different competitions and presentations. This year Brainiac competition has four categories, which provides for Software Project Competition, Engineering Project Competition, Student Poster Competition, and Gaming Competition. 240 Participants from 14 Universities presented their 92 projects including 30 Gaming Teams. One thousand visitors attended it, and 50 volunteers participated in it. Fourteen judges were on the panel, and 6 were the sponsors of Brainiac Student competition. The enthusiasm and craze among the students of Pakistani universities have grown up to such a large extent that this year a large number of participants were witnessed. This year the students who showed up at the competition include University of Central Punjab, COMSATS University, Islamabad, Swedish College of Engineering & Technology, University of Engineering & Technology (UET) Lahore, FAST-NU Lahore, NUST Islamabad, University of South Asia, University of Gujrat Sargodha Campus, UOG Sialkot Campus, University of Agriculture Faisalabad (UAF), University of Lahore Gujrat Campus, University of Management & Technology (UMT) Lahore, Punjab University, Sarhad University, COMSAT Lahore and LUMS. Rs.100,000 prize money was distributed among the winning teams of the four categories of Brainiac 2018. Mr. Husnain, Rabia Nadeem, Komal Shahzad, Fatima Mubeen from UET won the 1st position in the student poster competition, title of the project was “Machine vision-based fertilizer recommendation system”. 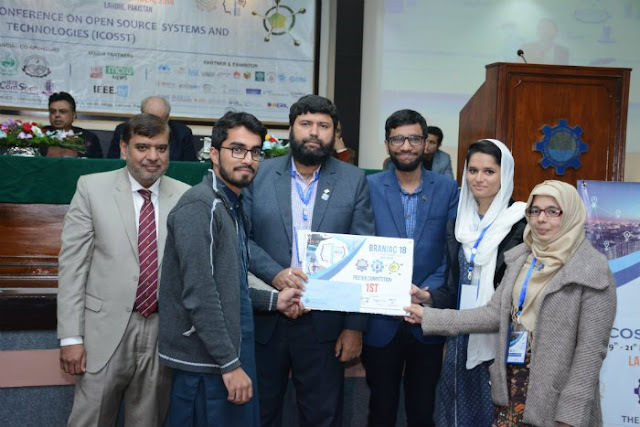 Nayha Shahid, Hassan Ashraf from KICS UET won the 2nd prize for their poster on “Mind-controlled quadcopter”, while Fareed Ahmad from UET got 3rd position for presenting “Deep learning tech for pathogen classification” in the student poster competition. The result of Gaming competition is as follows, Arham Idrees, Abdullah Gurmani, Laraib, Haider from UMT won the PUBG gaming competition. The second team was Taha Ijaz, Abdul Rehman, Awaise from Faisalabad. Team members Muhammad Bilal Ijaz, Hassan, Mujiz Ali, Waleed ul Hassan, Muhammad Ahsan Qasmi from UMT Lahore won the counter strike game as well. In Software project competition 1st prize was won by Mr. Haq Nawaz from UCP/Jamia Ashrafia for his software “Al-itself” Android app. UMT Student Faizan Farooq’s Project “Telepresence Robot” and UCP Student Layeq Ali project “Humanoid Robot” both got the second position. The third position was secured by Robo wheel project presented by Mr. Sohaib ul Hassan & Haider Nadeem (UOL Gujrat Campus).